Southfields Recreation Ground is set to benefit from a range of brand new facilities after Ealing Council confirmed the local community organisation W4 Youth as the preferred developer for a project to create a new sports and community hub. The council’s cabinet agreed the grant of a 99-year lease to W4 Youth to develop the space at a meeting yesterday (10 July). It will now launch a funding campaign to transform the current space around the dilapidated pavilion into a community and sports hub for use by local people. W4 Youth is a community youth project for 11-19 year olds in West London. Set up in 2009, it now has over 300 young people involved in its activities. The development will also secure the refurbishment of the recreation ground’s changing facilities and toilets which are currently inadequate. A brand-new café for the space is also earmarked as part of the project. 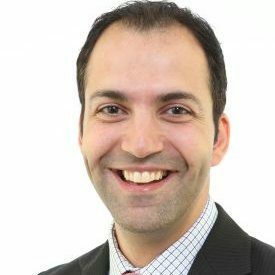 Councillor Bassam Mahfouz, cabinet member for finance and leisure said: “Growing up in the borough, the most common complaint I would hear is that there wasn’t enough for young people to do. With exciting high-quality sports and leisure spaces like the one proposed at Southfields having popped up across the borough, we’re showing that we are absolutely committed to transforming the borough and having fantastic facilities improving the quality of life for residents. “With W4 Youth confirmed as the preferred bidder, this project to bring a sports and community hub to Southfields Recreation Ground is now underway. Sally Chacatte, chair and founder, W4 Youth said: “We are delighted to be the preferred partner selected by Ealing Council to build a new Youth and Community Sports Hub in Southfields Recreation Grounds. Our aim is to give the local community a centre where sports and social activity brings everyone across the community closer together.